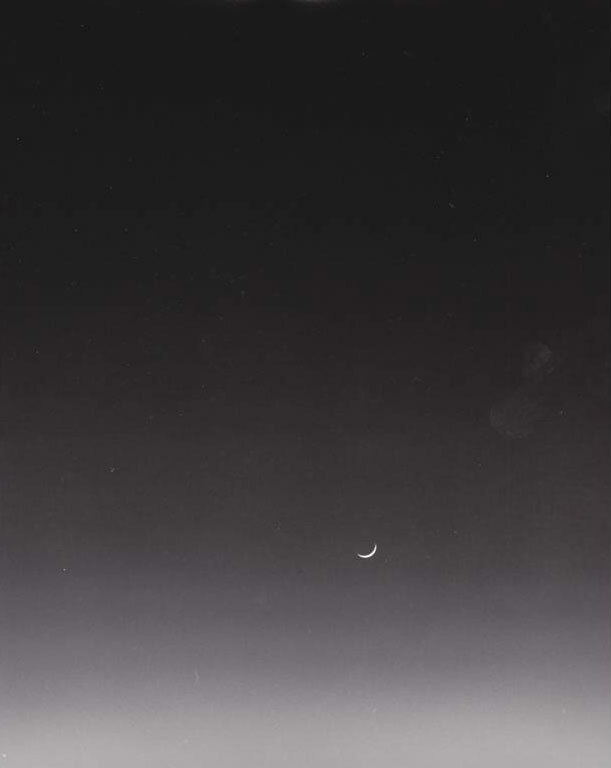 An early crescent moon sets in the west shortly after sunset. The thinner the crescent the shorter the time between sunset and moonset. Seeing a really early crescent requires being in the right place on Earth, at the right time, and having a very clear sky. Amateur astronomers make something of a contest to see the earliest and thinnest crescent moon. The crescent moon in this photograph is not particularly early by the standards of astronomers. For me, this photograph evokes something of the feeling of a small thing struggling to be noticed in a very big place.